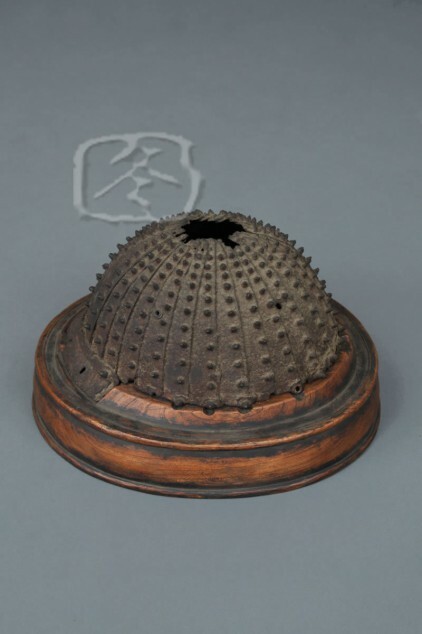 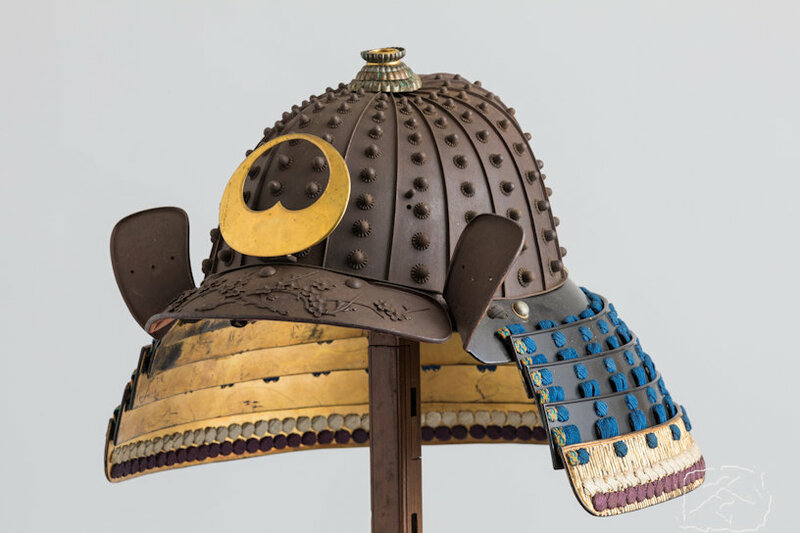 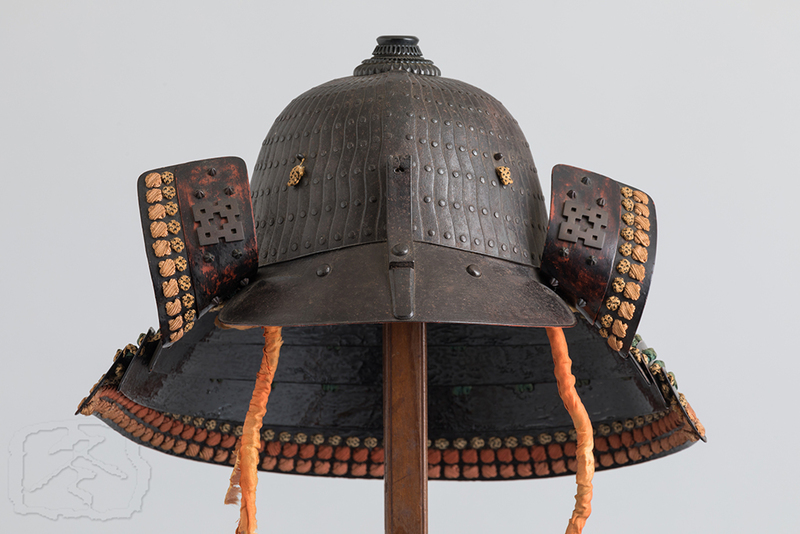 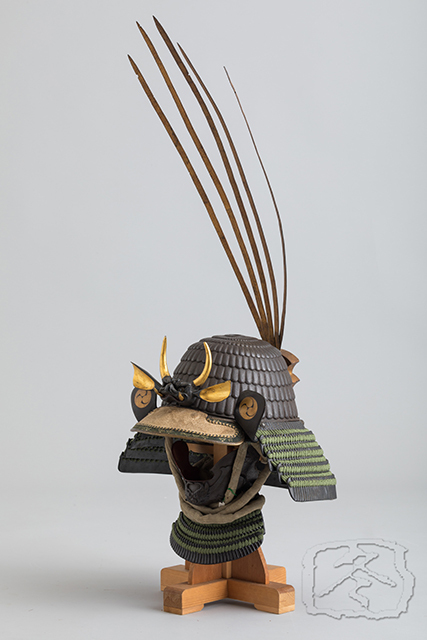 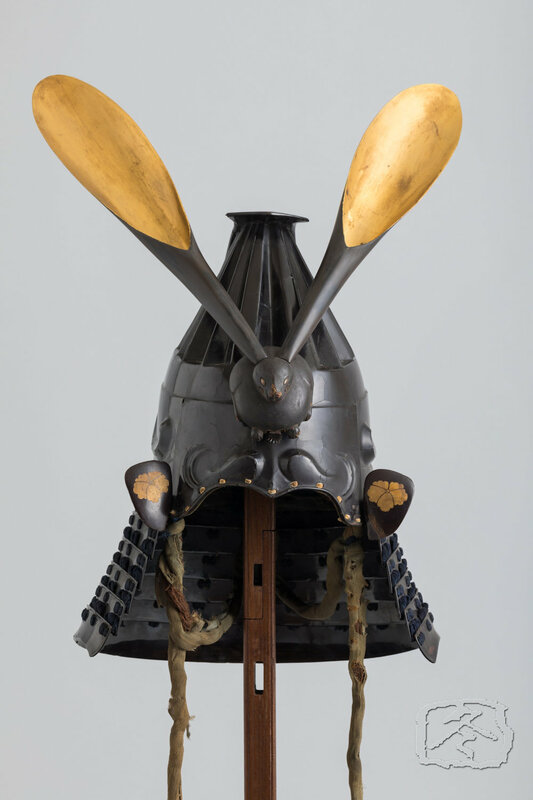 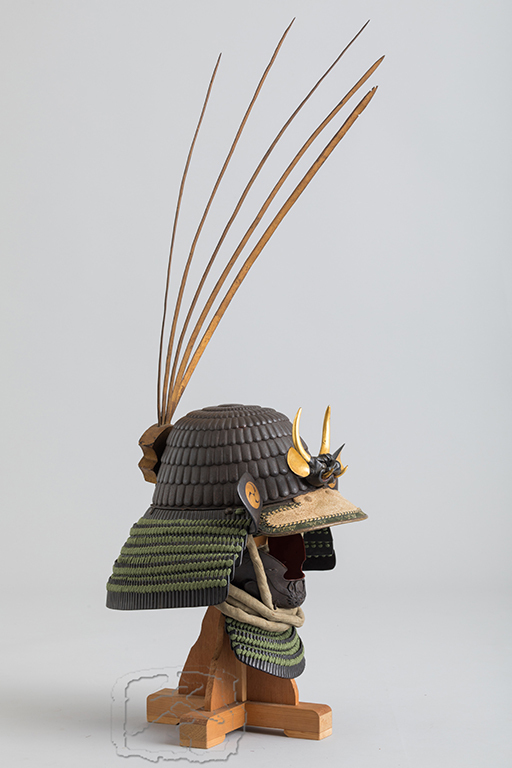 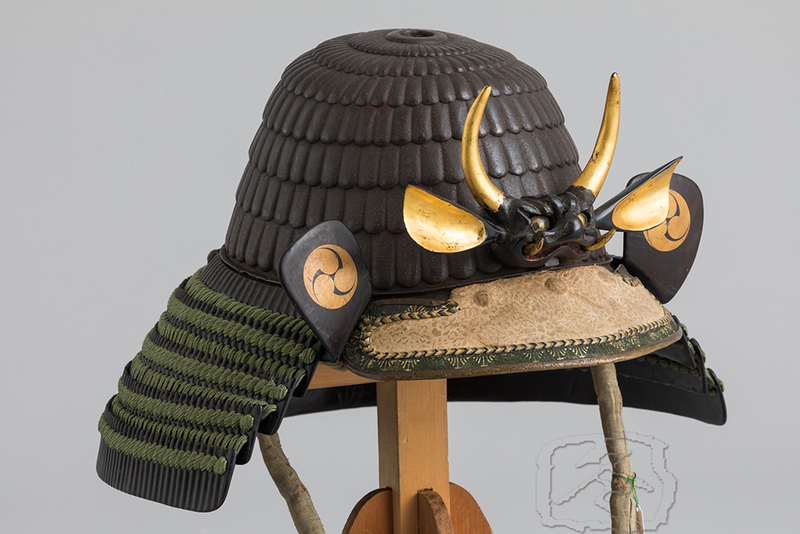 This ‘kiku-nari’ helmet is made of seven rivetted horizontal plates in the form of chrysanthemum petals with single tier ‘tehen kanagu’. 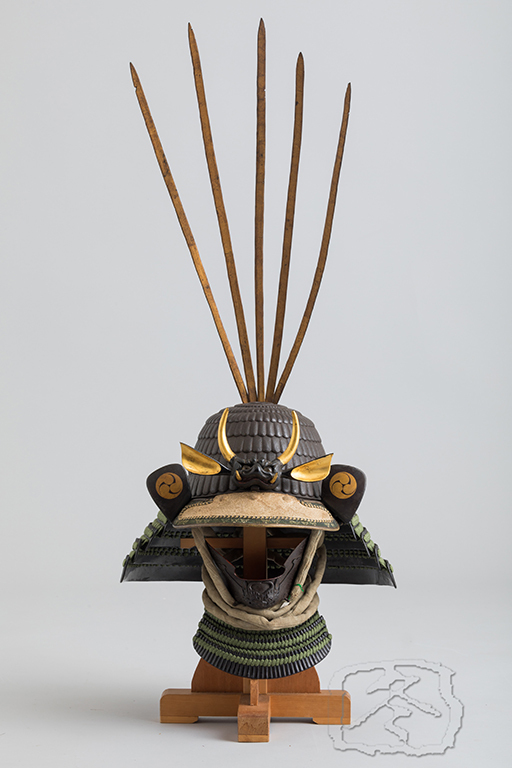 The ‘maedate’ (forecrest) is in the form of a ‘shigami’ (demon-like creature), carved from wood, lacquered and gilded with crystal eyes. 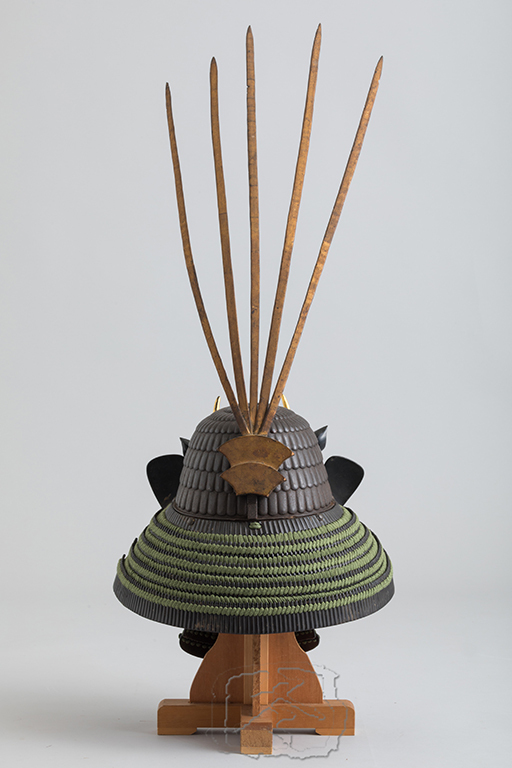 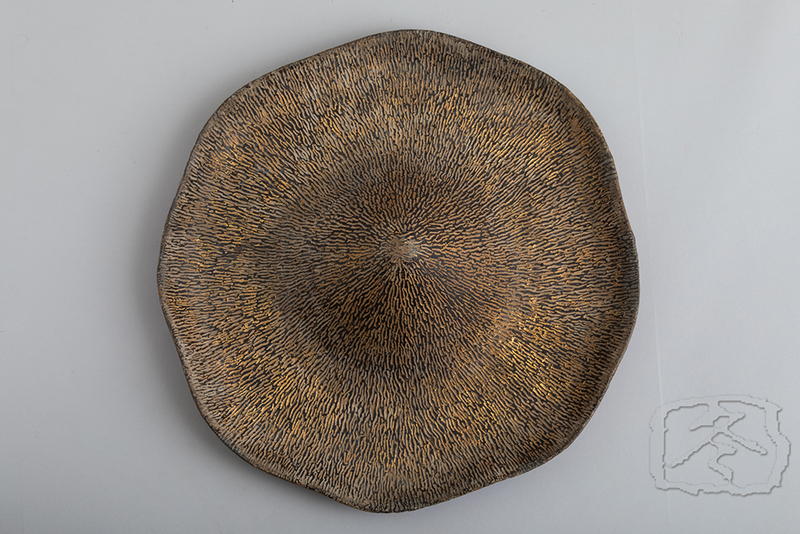 The ‘ushiro date’ (rear crest) is made of gilded wood and whale baleen in the form of long, thin leaves.. 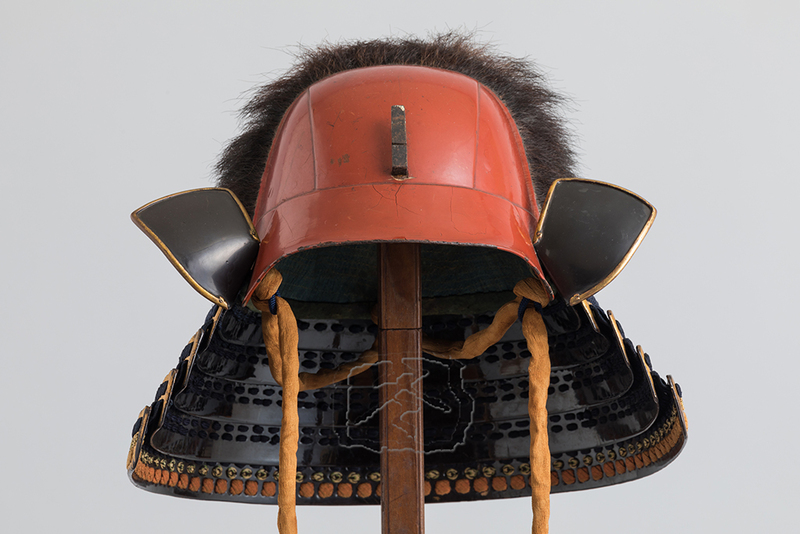 The ‘mabisashi’ (peak)is wrapped in stenciled doe skin and carry the ‘mitsudomoe’ heraldry of ( )clan. 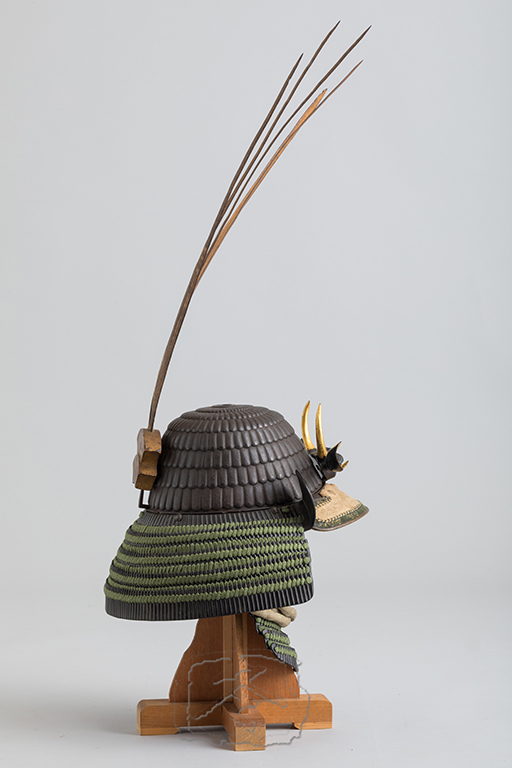 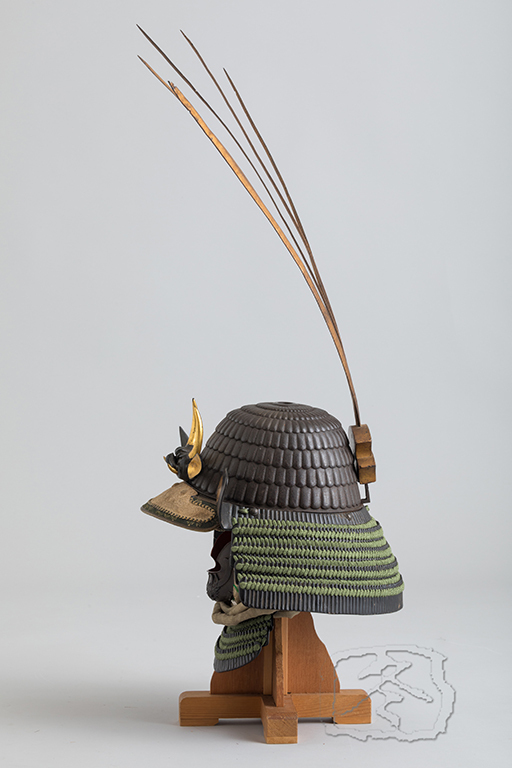 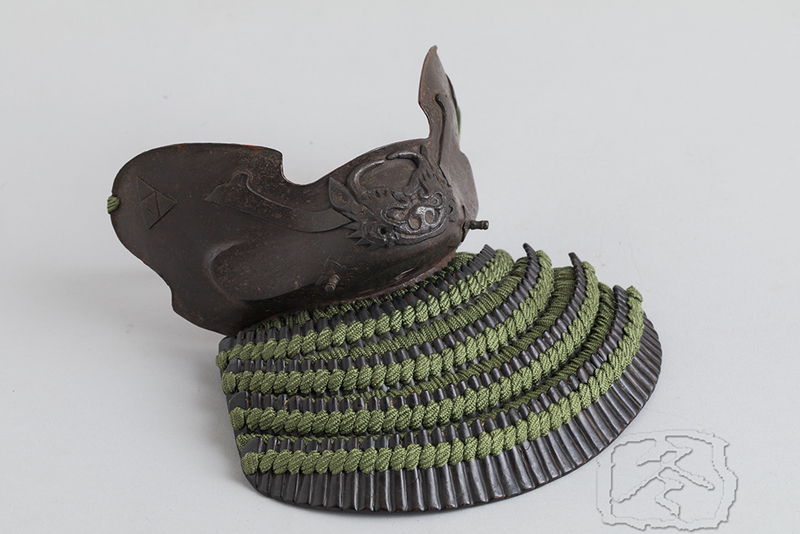 The ‘manju shikoro’ (rounded neck guard) is made of five lames of black lacquered iron ‘kiritsuke kozane’ (false scales) secured with ‘kebiki’ (close spaced) green silk lacing. 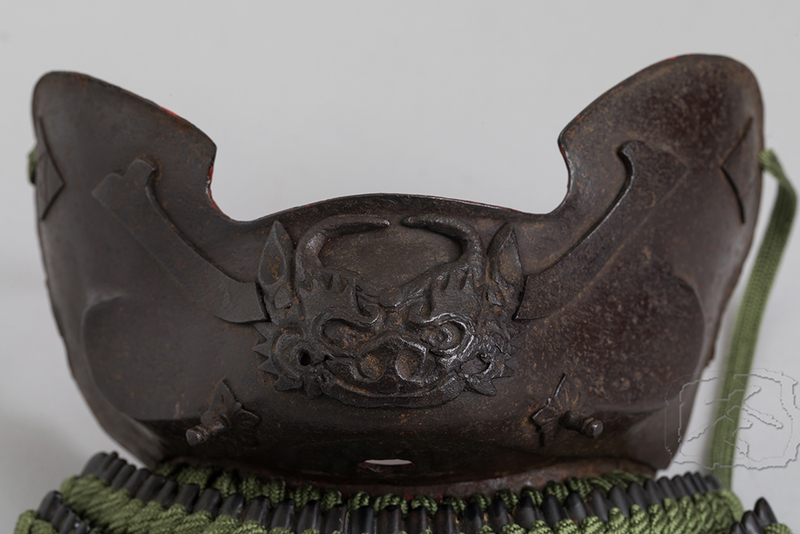 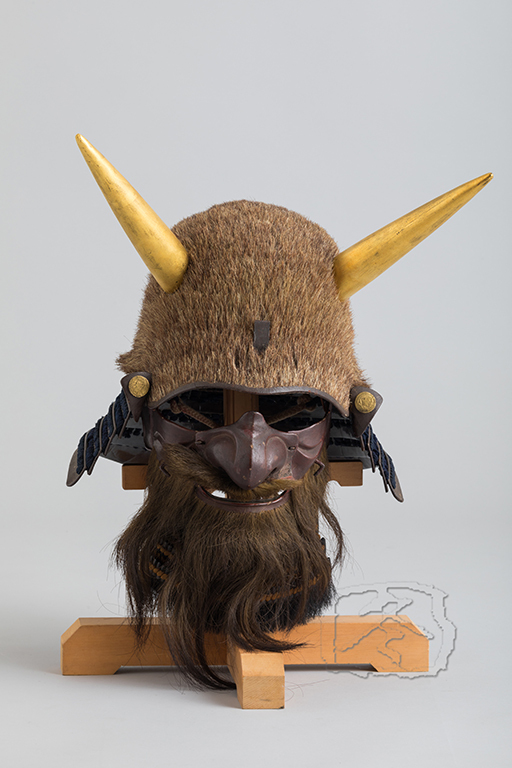 An associated half mask accompanies this helmet made of russet iron with an applied iron demon to the chin and triple triangle Hojo clan heraldry to each cheek. 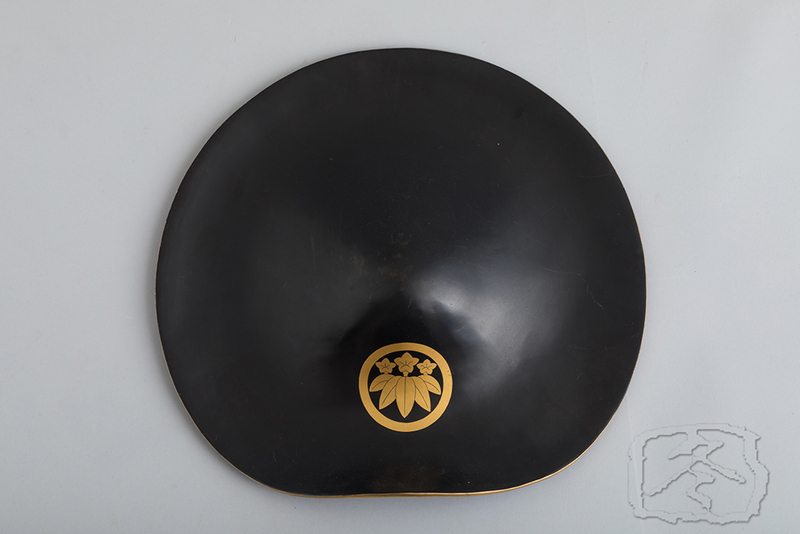 The ‘tare’ (throat guard) is made of four lames of black lacquered ‘kiritsuke kozane’.